Ginger beer is a less sugary version of ginger ale and it is not interchangeable here. 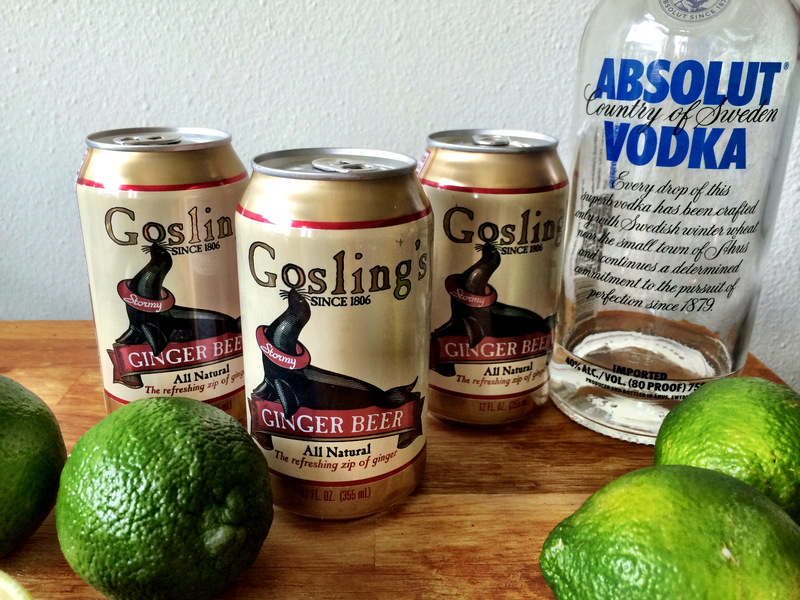 Over the last year, we have tried several different ginger beers and have found that Gosling’s is the best. There are some really bad ginger beers out there and because there are only 3 ingredients in this cocktail, it’s important that the ginger beer is good! At our wedding, Andrew and I served our two favorite specialty cocktails. One was our all-time favorite: a freshly made margarita. We named it the “Maze-a-rita”, for my new last name – Maze! The other cocktail we served was this Moscow Mule, which we renamed the “Milwaukee Mule” that night. 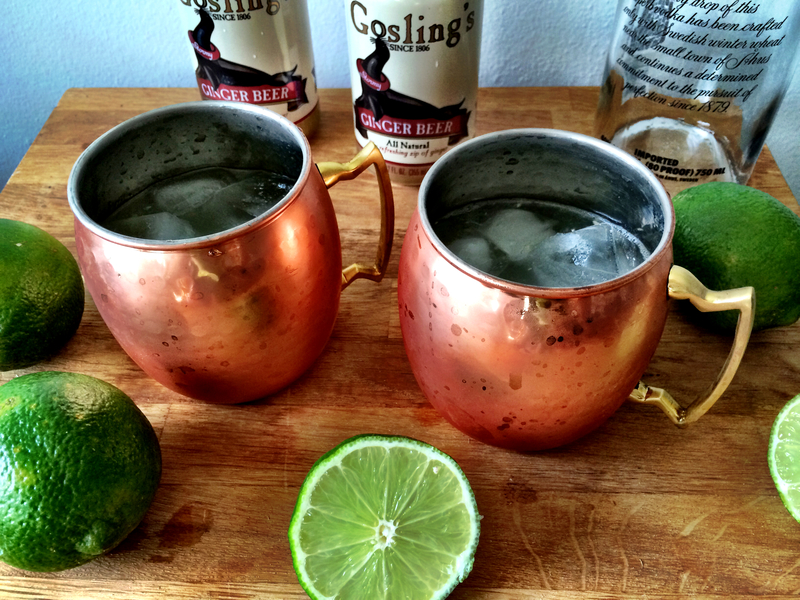 Wondering why drink a Moscow mule out of a copper mug? Mainly, because they are fun! But I have read that the copper keeps the drink cooler and enhances the flavors. Copper mugs can be found all over these days. I like these smooth mugs and this hammered finish. Are you looking for a fun hostess, wedding or Christmas gift? 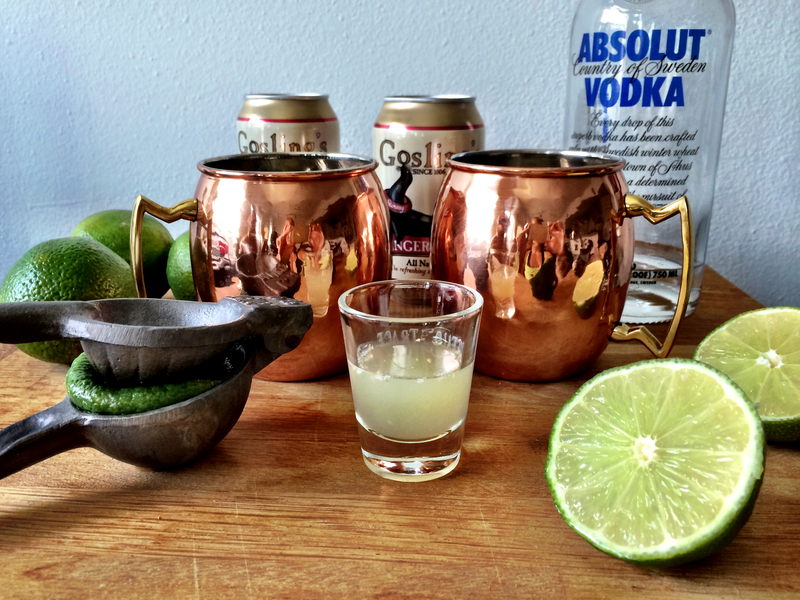 Put together a Moscow Mule basket with copper mugs, vodka, ginger beer, and maybe a lime juicer! Turns out I am behind the times here because Oprah had this Moscow Mule kit as one of her favorite things in 2012. 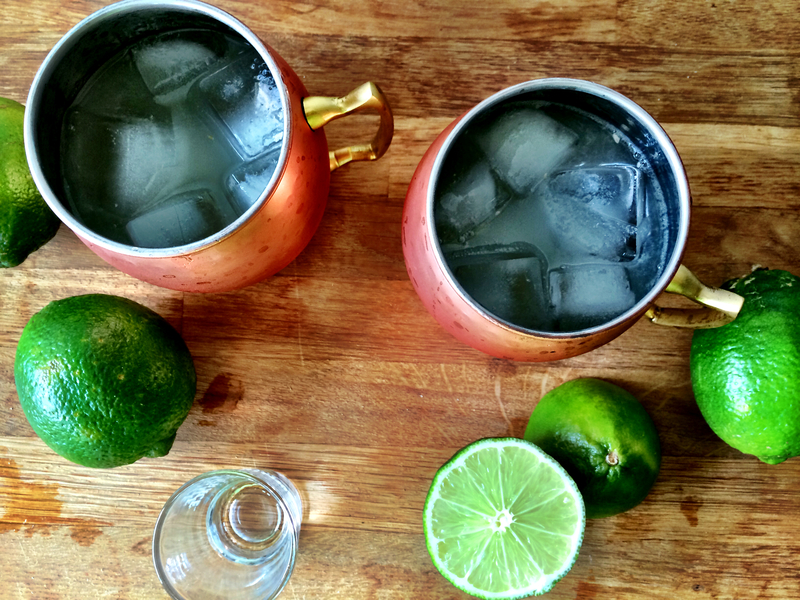 In a glass or copper mug, combine the vodka and lime juice first, and then pour in the ginger beer. Add a big handful of ice and stir. Serve right away. *If using copper mugs, stick them in the freezer an hour before serving so that they are frosted. *I’ve tried several different ginger beers and some of them have been awful (don’t buy Reed’s)! The Gosling’s brand is my favorite and the most widely available. Depending on what city you are in, you might be able to find a great local or craft ginger beer. Because there are only 3 ingredients in this drink, a bad ginger beer will make a bad cocktail.